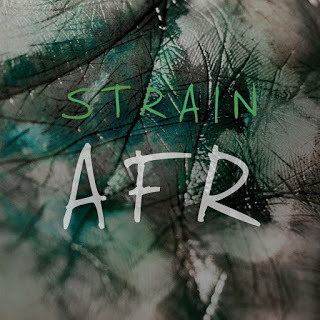 Strain, I already reviewed their first EP Think-O-Land (here) and now it is time for their second one, called AFR, which will be released on August 21. While they play music which is more like alternative rock than metal, I am still going to review them here, because, wow, what a band! I was already amazed by Think-O-Land and after listening AFR I am sure that this band is great and can get really big if they want to. While AFR only contains three tracks over eleven minutes, the energy booms off. Musically it is less heavier than Think-O-Land, but it still is heavier than everything on the radio. Vocally it is amazingly, vocalist Jip van Kakeren has a really amazing voice and he can do a lot of things with it. From clean, melodic singing till loud, heavy shouting, he can do it all! Strain’s music is exceptionally perfect and the vocals make it even better. This band from Gorinchem, Netherlands is a class apart and while it’s not metal, I think open-minded metalfans can surely dig this band. So, go listen to AFR by Strain when it is released and also be sure to check their last EP Think-O-Land, which is also great!